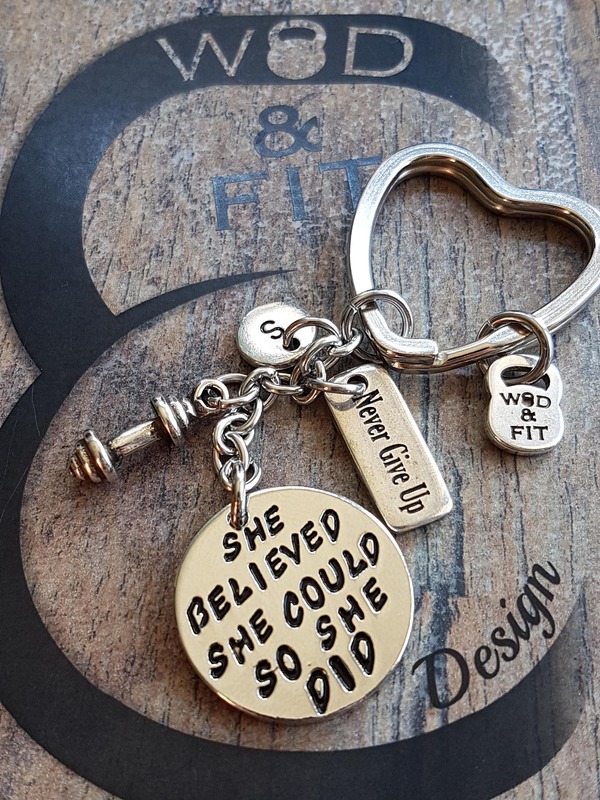 Keychain She Believed She Could So She Did Dumbbell, Initial Leter and Motivational Word. 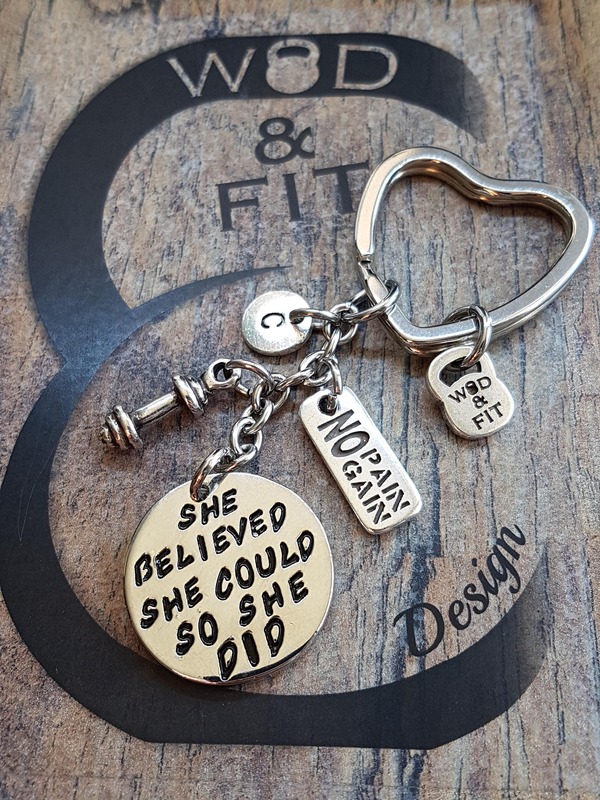 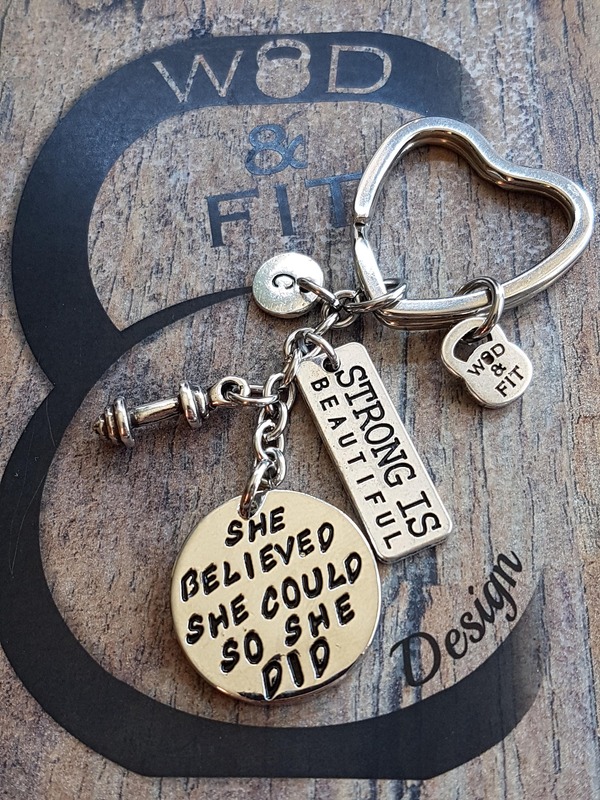 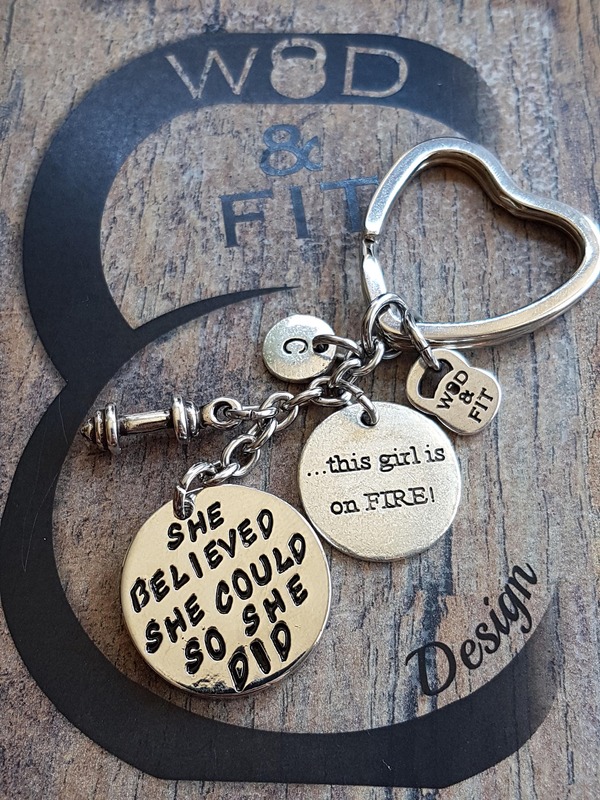 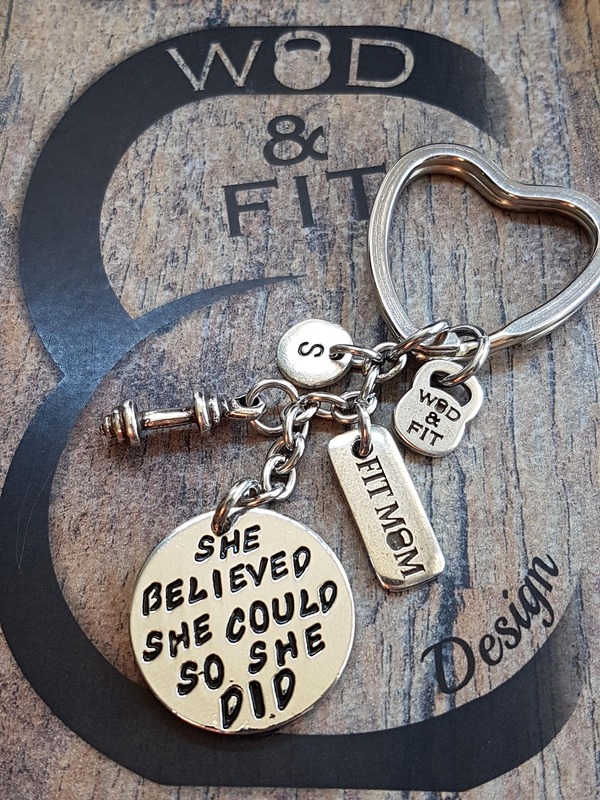 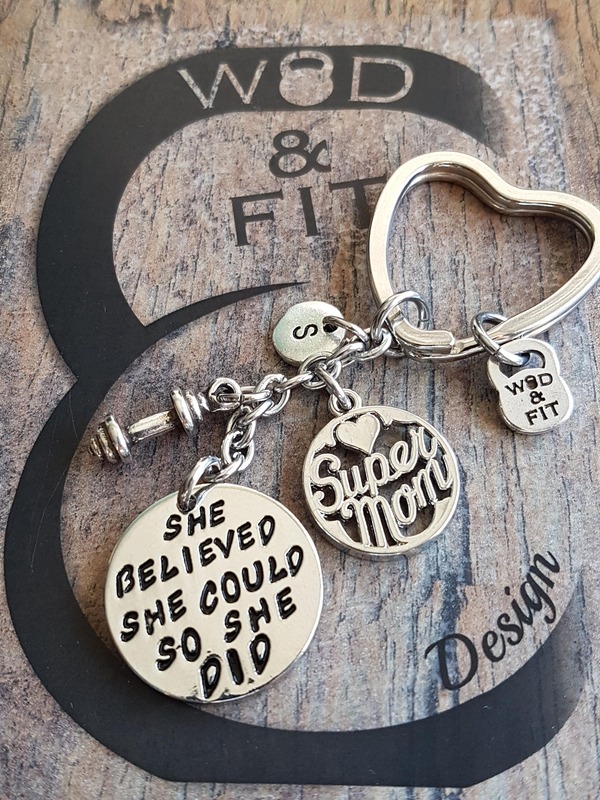 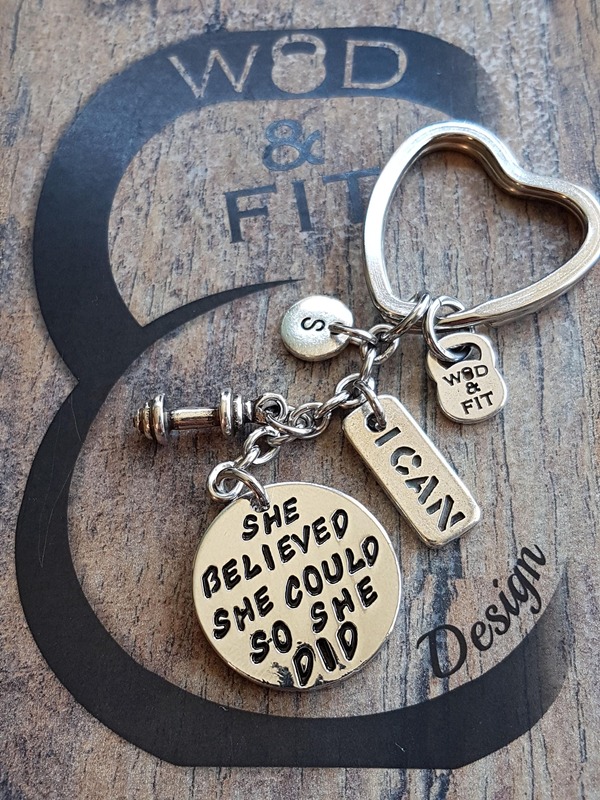 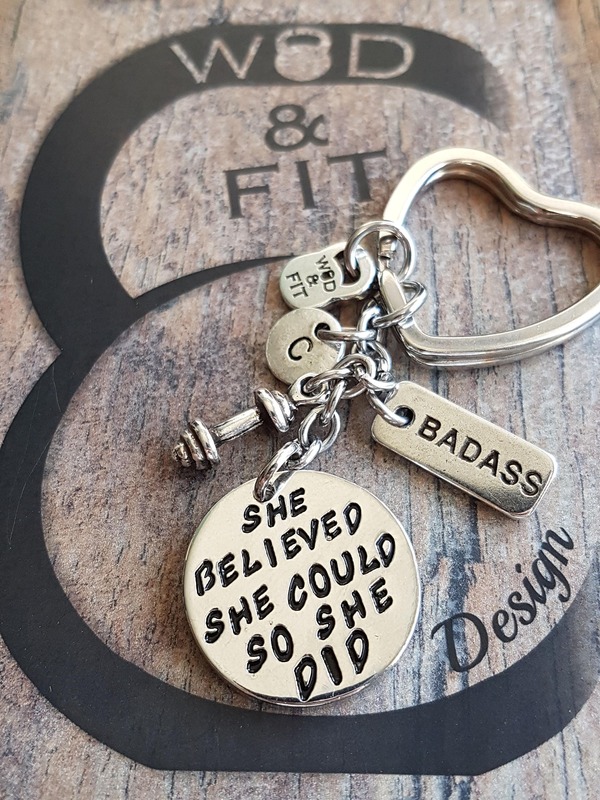 Keychain with the quote "She Believed She Could So She Did"(25mm) Dumbbell, your first letter, you choose the chain Motivational word. 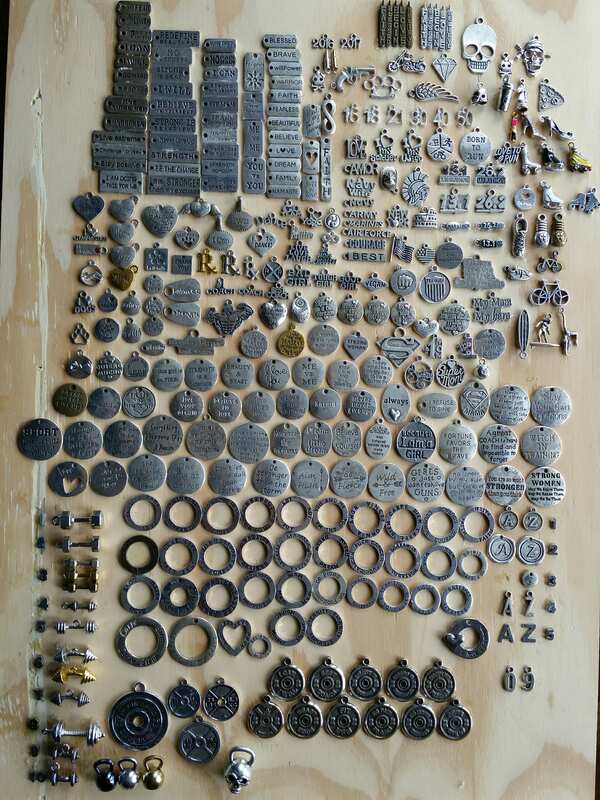 The best place very helpful and very patient. 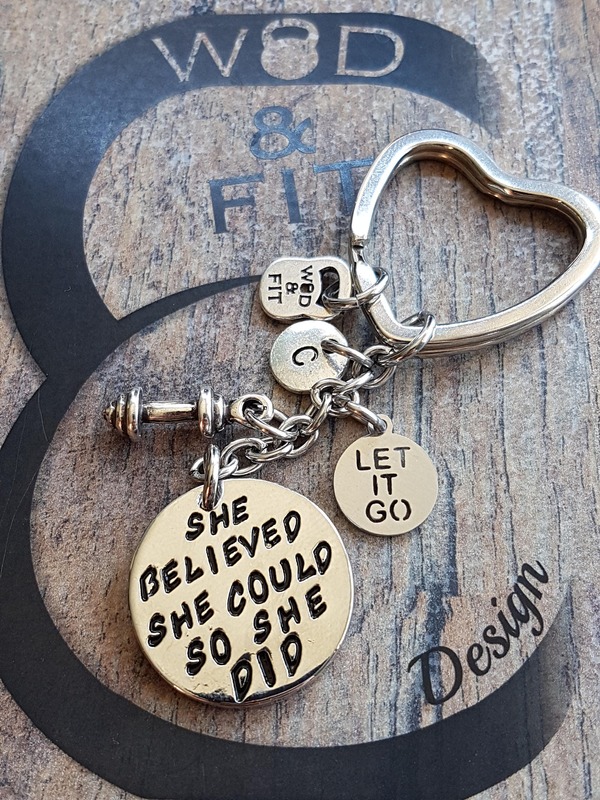 Thank you so much I really appreciate for everything.